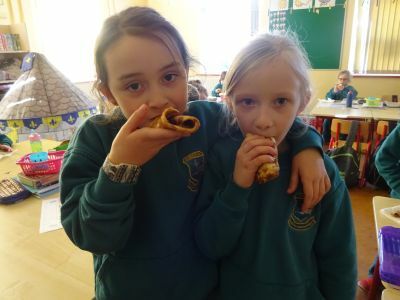 We celebrated Pancake Tuesday in Firoda N.S. by having a feast of pancakes. A special word of thanks to Betty Owens and her daughter Deirdre for making lots of pancakes and keeping the Pancake Tuesday tradition alive in our school. A great day was had by all. Our Photo shows Eimer and Emma enjoying their pancakes!